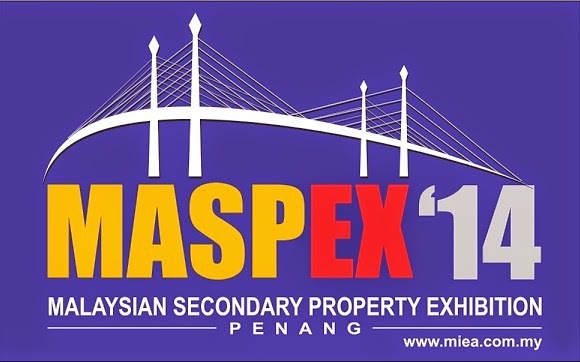 More than 2,500 residential properties will be exhibited during the Malaysian Secondary Property Exhibition Penang (Maspex 2014) at the Penang Times Square this weekend. Organising chairman Michael Geh said many of the properties, with prices ranging from RM300,000 to RM800,000, were in strategic locations. “The prices are between 20% and 30% lower than the new properties sold by developers,” he said during a press conference yesterday. State Town and Country, Planning, and Housing Executive Committee chairman Jagdeep Singh will launch Maspex 2014 which will be held from Friday to Sunday. Geh said last year’s Maspex saw more than 7,000 people attending it with more than 500 leads for real estate agents. “The secondary market is the biggest driver in the overall property sector in the country, taking up 70% of the market share,” he added. Geh said there would also be property forums to disseminate information on what was happening in the housing industry in the country and in the region today. “There will also be tips on interior design for affordable homes, property tax for the secondary property market, and the impact of the Goods and Services Tax on property,” he said. Meanwhile, Jagdeep said the state government would also have a booth at the event to register first-time buyers of low medium-cost houses priced at RM72,000 and affordable housing projects, which are priced between RM200,000 and RM400,000.